US Cellular has reached out to let us know that the carrier will offer the LG G5 as well. No further details were provided. T-Mobile has also let us know that it will be carrying the LG G5. Pricing and details will be available later. 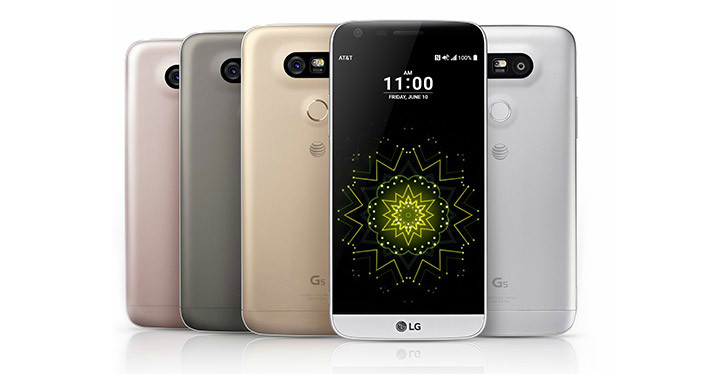 The G5 has just been announced by LG in Barcelona prior to the start of Mobile World Congress. During the press conference, LG didn't clarify the price, availability countries, or dates of its new quirky modular flagship, but the details are starting to surface right now. In the US, Verizon, AT&T, and Sprint said they plan to carry the LG G5. We're still waiting on an official confirmation from T-Mobile, but it will likely offer the phone as well. In the UK, we have confirmation that Vodafone will offer the G5. Verizon said the G5 will be coming this spring in silver and titanium and its press release mentioned the plug-in LG CAM Plus and the stand-alone LG 360 Cam. It seems like other accessories might be available as well, but they weren't explicitly named. Sprint said it plans to offer the phone but wasn't clear on a timeline, price, or color options. However, it mentioned that it will also sell the LG 360 Cam and the LG TONE Platinum Bluetooth headphones. It already has a landing page for the G5 so you can bookmark that and keep an eye out for any further details. AT&T's press release isn't specific on colors, dates, or prices either, but it does mention more accessories to be available with the device: the CAM Plus plug-in, the 360 Cam, the 360 VR headset, and an as yet unheard of 360 Sound Bluetooth speaker. AT&T also has a landing page for the G5. You may have noticed that out of the three carriers, no one seems to have the Hi-Fi Plus plug-in or the Rolling Bot. We might hear more about these later. In any case, it doesn't look like anyone will be able to get their hands on the G5 before spring, so it'll be a long wait. In the meantime, you can go check David's hands-on with the phone and envy him as much as you can.